What happens after they merge? 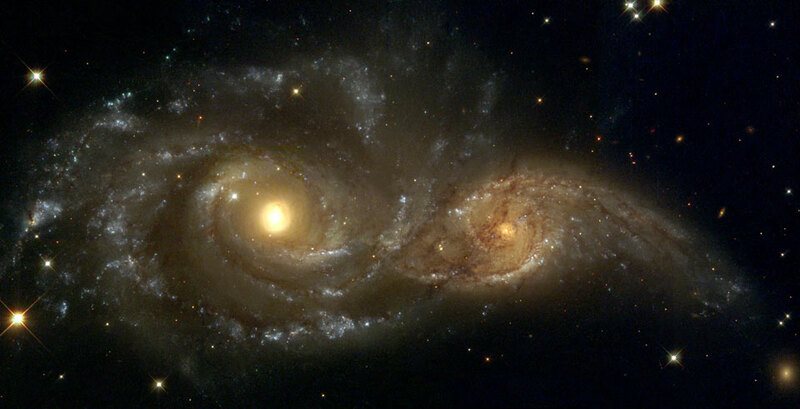 This entry was posted in Science and tagged Cosmic Dance, galaxy, Hubble, IC 2163, know, NASA, NGC 2207, science, universe. Bookmark the permalink.